No matter if you are a fan of lighting installations or a professional expert, Frankfurt am Main in Germany was the place to be last week for everybody who is into lighting. Three events took place at the same time, the Luminale, Light + Building trade fair and the EBV Lighting Academy. The latter took place for the second time and again gathered speakers from around the world. In case you couldn’t make it to join the event, here is what you missed. The agenda of the two day was packed with keynote speakers from the industry, institutes and even with a Nobel Prize Laurate. 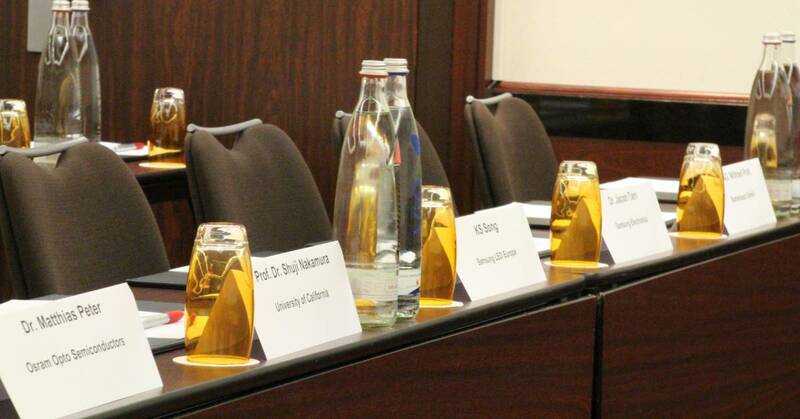 Their presence already in the run-up promised stimulating speeches and active discussions. And this is precisely what happened. But first things first. The Director of the Lighting Segment at EBV, Sebastian Huelck, opened the academy with an overview of the EBV LightSpeed Segment. Furthermore he explained demonstrations and reference designs EBV is working on together with its manufacturing partners. Before he gave the hand over to the other presenters, some words on the in-house LightLab should not be missing. The first presenter was no-one less than the inventor of the blue LED and Nobel Prize Winner in Physics 2014 Prof. Dr. Shuji Nakamura from the University of California in Santa Barbara. 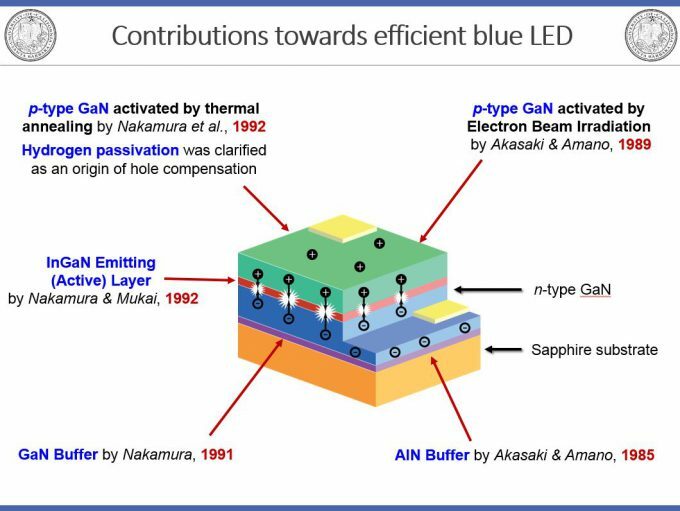 He introduced the blue LED and also talked about the future of Solid State Lighting. His speech was followed by that of Dr. Matthias Peter, Senior Key Expert Epitaxy at OSRAM Opto Semiconductors. He explained the epitaxy technology and packaging trends. Dr. Jacob Tarn, Head of Strategy Marketing at Samsung Electronics continued after a short brake and a snack buffet. During his speech he gave insights into the “TFFC Chip Scale Packages”. Before the first day of the 2nd Lighting Academy was concluded by MAG. 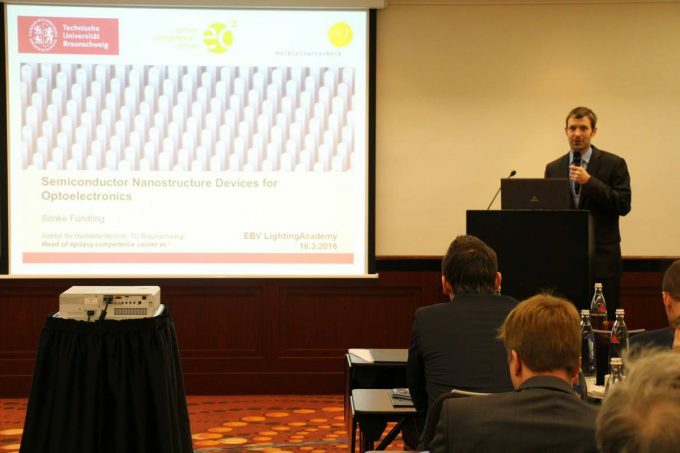 Wilfried Pohl with his speech about “Quality of Light”, Dr. Sönke Fündling from the Technical University in Braunschweig held his presentation about “Semiconductor Nanostructure Devices for Optoelectronics”. He gave an overview on the status quo of LED technology and later on presented the technology of 3D-LED chips. 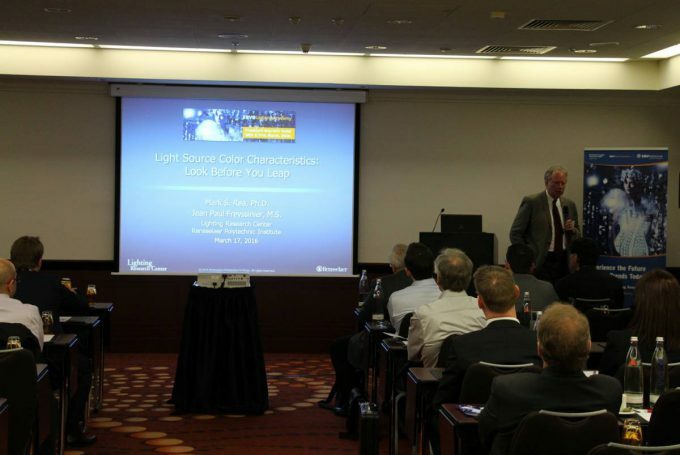 The second day kicked-off with the presentation of a well-known researcher within the lighting segment. Prof. Dr. Mark Rea, Director of the Lighting Research Center at the Rensselear Polytechnic Institute (RPI) in Troy/ NY (USA) talked about “Light Source Characteristics”. 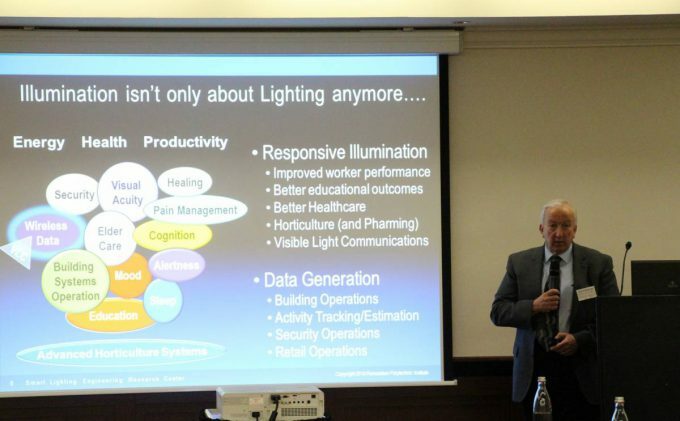 “Human Centric Lighting” was the topic of Dr. Peter Bodrogi from the Technical University in Darmstadt. He introduced the Circadian Effect and presented experimental data on the effect of light source spectral power distribution on nocturnal melatonin suppression. Very interesting were also his explanations on co-optimisation of LED emission spectra for both aspects colour preference and Circadian effect. The Director of the Smart Lighting Engineering Research Center at the RPI, Prof. Dr. Robert Karlicek claimed in his presentation subject “Lighting and IoT and Lighting Networks” that illumination is not only about lighting anymore. Responsive illumination and data generation were amongst the topics he explained to the audience, which listened carefully. “White Organic Light-Emitting Diodes (OLED) for Solid-State Lighting” was covered by Dr. Michael Törker from the Fraunhofer Institute for Organic Electronics in Dresden, before Dr. Harald Buchardt, from the Edinburgh Technology Transfer Centre closed the academy with another interesting presentation. He introduced a technology, which he believes will enable a completely new connected world. 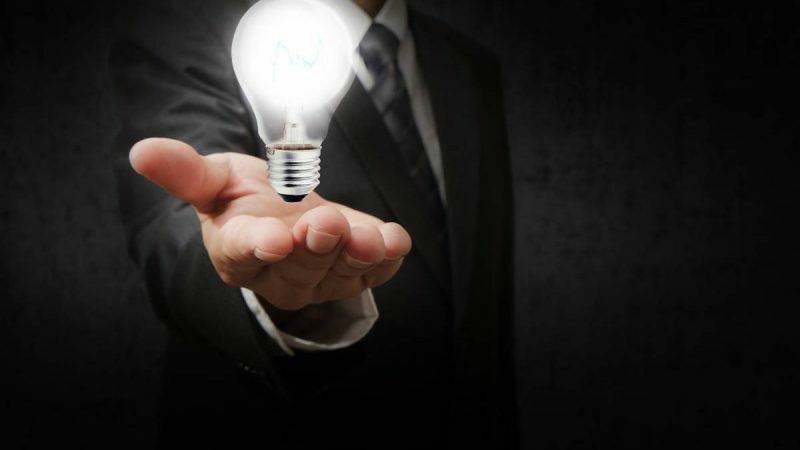 LIFI is about transmitting data wirelessly with light, in particular with LED light. In our daily lives we are confronted with lighting, most of the time not noticing it. We already take it for granted, and that is how it should be. But lighting is such an interesting subject and research area that can have a tremendous impact on us in various scenarios. It is able to get you in a special mood, perform better at work, let you taste differently, or can have serious impact on your health. 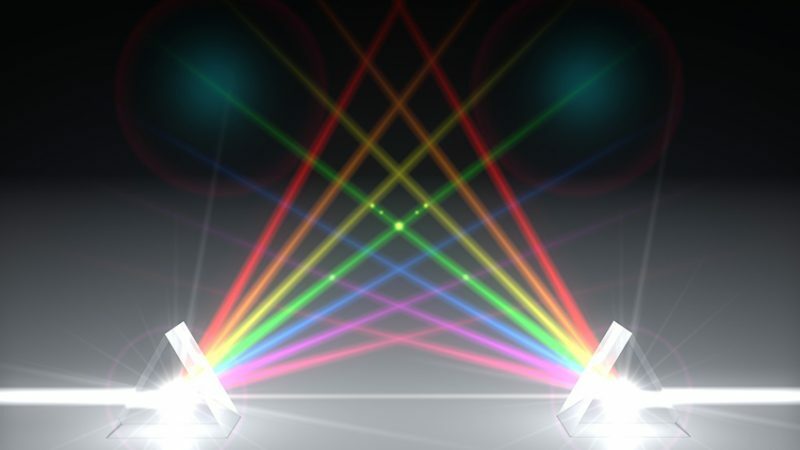 Institutes and companies spend a lot of effort to explore and investigate the secrets and capabilities of light, in order to make our lives more secure, healthier and more convenient. Summarizing you can say that the second Lighting Academy was a great event where he audience was able to learn a lot from the speakers. It was nice to see that many vivid discussions arose after the presentations. A lot of questions were posed and the atmosphere was professional and casual at the same time. The positive feedback we got from the experts will surely give us even more motivation for the next academy to come. 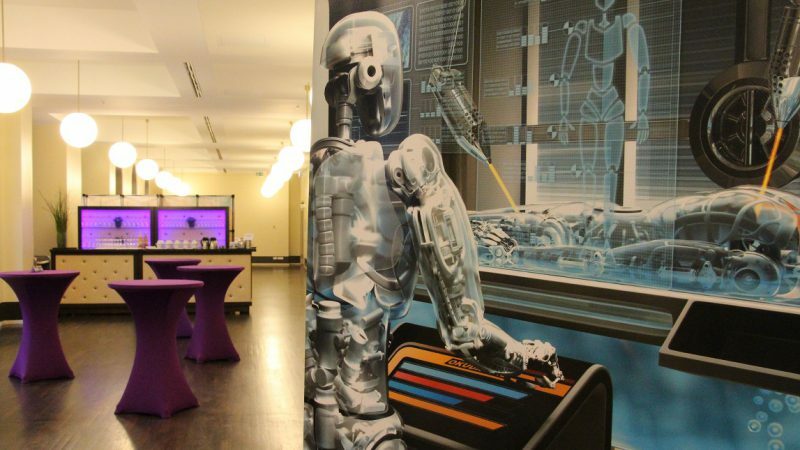 A big “Thank you” to everyone who was able to make it to the conference area at the Marriott Hotel in Frankfurt. 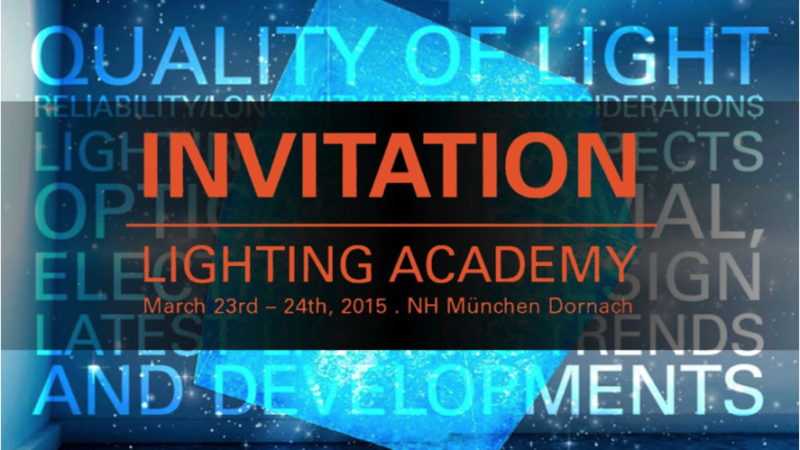 We’re looking forward to seeing you again during the next Lighting Academy!